Knowledge is built from personal experience and coloured by our needs and values. It follows that all knowledge is personal and incomplete. We all suffer from ‘blind spots’. But when leaders have them, it matters. To guide people on a journey of continuous learning, understanding and adapting to events as they occur, leaders must overcome their own blind spots and those of their organization. Any leader who implements the practices outlined in this book will immediately improve their ability to perform in today’s competitive global environment. Karen Blakeley provides in-depth analysis of how leaders learn on the job - and what gets in the way. Most importantly she offers a systematic approach for accelerating leaders’ learning capacity - and maximising their performance potential. KAREN BLAKELEY is Assistant Director of the Centre for Leadership, Learning and Change at Cass Business School, City University and is also a director of Waverley Learning – a leadership development company. She recently completed her doctorate looking at how managers learned when their organisations went through change. Karen originally trained in finance and worked in the City for five years. She subsequently qualified as an organisational psychologist and has spent over 15 years helping individuals and organisations adapt to change. Karen has appeared on TV, radio and in the press commenting on the psychology of high performance in demanding environments such dealing rooms in the City. She regularly presents at conferences and has had a number of articles published in the area of senior executive coaching. Karen is working with a number of top international companies developing new tools and techniques to promote ‘learning agility’ amongst their current and future leaders. Part One: Leaders, Blind Spots and Learning – The Issues. 1 Leaders, Blind Spots and Learning. 2 A Model of Blind Spots, Learning and Change. 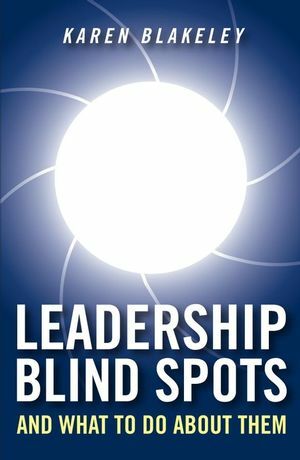 3 The Consequences of Leaders’ Blind Spots. 4 Learning to Lead, Leading to Learn. Part Two How to Overcome Blind Spots and Accelerate Leaders’ Learning. 5 The First Practice – Direct Attention. 6 The Second Practice – Harness Emotions. 7 The Third Practice – Overcome Defensiveness. 8 The Fourth, Fifth and Sixth Practices - Deepen Sensemaking, Engage Creativity, and Reality Check. 9 The Seventh Practice – Change Behaviour. 10 The Eighth Practice – Nurture Integrity. 11 Equipping Leaders in Complex Times.